Rock fans, get your dancing shoes ready once again for Rich Rivkin’s annual series of multi-sensory events at scenic park locations, featuring live music performances, live painting and exhibiting by multiple artists, fun & games, massive bubbles, hula hooping, vendors, and gourmet food trucks. 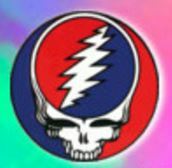 This year’s festival season kicks off at Calverton Links, with Grateful Fest on May 22, 2016, a day of visual art, plus five bands covering the music of The Grateful Dead. The tie-dyed festivities continue through September at The Vanderbilt Museum and Northport Village Park. These family friendly events are part of a string of five festivals brought to you by Rich Rivkin Presents, which has produced thirty-five music festivals on Long Island since 2001. Many of the region’s best-loved bands will be taking the stage this season, including Wonderous Stories, Half Step, Milagro, Mountain Jam Orchestra, Cousin Fungus, The Electrix, Reckoning, Como Brothers, Ken Talve Trio, Cousin Earth, Unbroken Chain, After Dark, Elephant, Djembe Movement, and Deadgrass. Sponsors include The Paramount, SolarCity, New York Life, Renewal By Andersen, KORG, Sammi Hoop, Spirit Sky Drum, and Stella Blue Café. All live painting artists and sculptors are welcome to participate. Visit limusicfestivals.com for ticketing and information, or contact Rich Rivkin at limusicfestivals@gmail.com.